Mentalism legend Bob Cassidy's ideas, routines and effects have helped many mentalists just like you to build acts and reputations. In this special recording and lecture note package Bob reveals revolutionary techniques that will serve to astound your audiences. Bob has been performing and creating mentalism for decades. 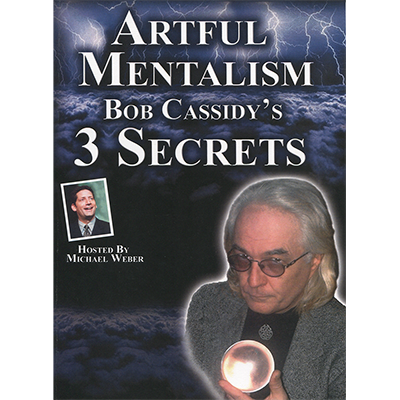 He is a founding member of the Psychic Entertainers Association (PEA) and author of "The Artful Mentalism of Bob Cassidy", as well as dozens of highly acclaimed books, e-books, and DVDs. He has influenced just about every major mentalist working today. Post Lecture Notes With Even More Information including a unique new routine.